There is a lot of money to be made in exploiting people with disabilities, and after decades of work by disability rights activists to fight for our to participate in much of civic life on our own terms, those who would make money exploiting us have hired lobbyists to return us to the days when our labor was deliberately undervalued for their profit. Not that the exploitation of people with disabilities ever truly ended — even in the ostensibly nonprofit sector. For example, Goodwill Industries (among many others) notoriously takes advantage of Section 14(c), a 1930s era provision in the Fair Labor Standards Act that allows so-called sheltered workshops, work centers that only employ disabled people, to pay disabled workers less than minimum wage. While their executives make six-figure salaries, they pay thousands of employees with disabilities less than anyone else, and some as little as pennies an hour, for their work. But “sheltered workshops” also receive funding from the government. 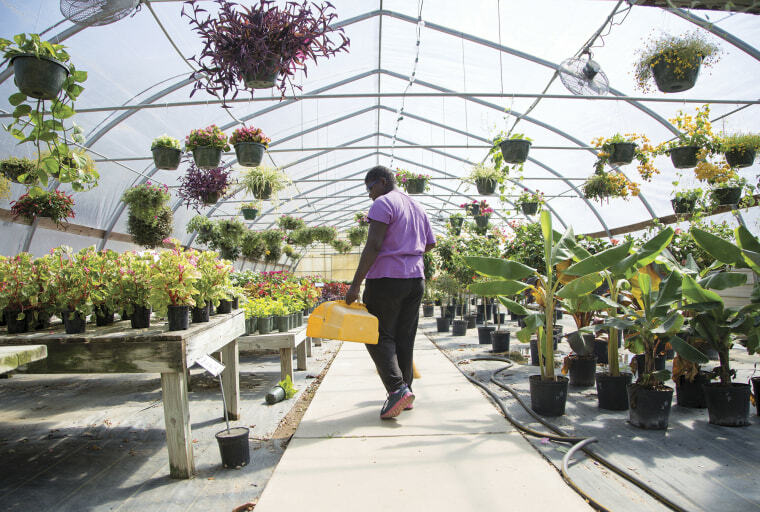 Workshops receive funding from Medicaid to “train” disabled workers for real jobs, but only approximately 5 percent ever leave for work in the community. Such “training” programs often keep disabled workers in their work centers for years or even decades; workshops are most reluctant to give up the most productive disabled workers for community employment. Even when these segregated programs pay good wages, they are a trap. In integrated employment, employees with and without disabilities are hired to provide services to their companies. In segregated disability programs, employers see themselves as providing services to the employees that they are hiring and fail to recognize the conflict of interest in serving as both service provider and employer. For this and other reasons, the Obama administration in 2016 put in place sensible, middle-of-the-road proposals designed to gradually transition service-providers into helping people with disabilities — including those with the most significant disabilities — into truly integrated workplaces. In segregated disability programs, employers see themselves as providing services to the employees that they are hiring and fail to recognize the conflict of interest in serving as both service provider and employer. Unfortunately, a trade group called ACCSES (which bills itself as “an elite network” of service providers that exists to provide “voices for these individuals at the highest levels of government”) is working to pass legislation rolling back the Obama administration’s steps forward. Even if their bill — the mislabeled “Workplace Choice and Flexibility for Individuals with Disabilities Act” — doesn’t pass, the Trump administration has recently signaled that they will nonetheless be rolling back some of these protections at ACCSES’ behest. Representative Glenn Grothman, who introduced ACCSES’ legislation, explained at a recent Capitol Hill briefing that we advocates and people with disabilities “just don’t understand” why it’s necessary, and that “no one would work in these work centers who didn’t truly care about serving the differently abled.” This objectification speaks volumes: He does not see work center employees with disabilities as people with jobs but as objects being worked on by the real employees. We see them as real human beings who are being exploited. In other words, Muderick prefers to employ people who have so few options that they are grateful for any job on any terms, exploiting the financially vulnerable and dressing it up as a virtue. Murerick would have us believe that people with intellectual and developmental disabilities have found their purpose in life in working for him on terms that he would never accept for himself. He does not see work center employees with disabilities as people with jobs but as objects being worked on by the real employees. Because of this thinking, Thinking Putty outsources part of its production to Devereux, a sheltered workshop provider that holds federal certification enabling it to pay disabled workers less than minimum wage. While Devereux doesn't disclose the wages of those workers producing Thinking Putty, other reporting has found that one of the organization’s Pennsylvania workshops pays an average wage of only four dollars per hour. ACCSES would have us believe that every business that operates on similar terms is acting in the best interests of its employees. As part of their legislative push, ACCSES is trying to redefine what counts as “integration ” by allowing providers to claim that they are supporting people in integrated settings even if disabled workers are on a separate payroll and wage schedule than non-disabled ones. ACCSES is lobbying to count as “integrated” workplaces that only hire disabled employees through separate contracts with providers like Deveraux, meaning that they would continue to lack access to the same terms of employment and social environments as non-disabled workers. If you are hiring people with disabilities for their labor, then you should be legally required to treat us like employees, rather than insisting that our labor for your company is actually helping us. For instance, disabled workers at Didlake, a non-profit employer of disabled workers, went on strike for the right to form a union in May. When these workers voted to unionize, Didlake refused to recognize the union. Instead, they joined the ranks of disability service providers who have maintained that disabled employees in special disability-segregated workplaces don’t qualify for unionization, because they are considered service recipients in a program rather than real employees. Their case is currently pending before the National Labor Relations Board. ADAPT activists like me are proponents of flexibility and choice for people with disabilities, rather than laws limiting that flexibility to social services providers. That is why, last week, I was arrested protesting ACCSES’ briefing with 23 other disability rights activists in ADAPT. We will fight for the right to live in our own homes rather than institutions, and for the right to receive services we need in integrated settings, including employment services. We oppose measures that would exempt employers and providers from labor law and civil rights protections, and we oppose laws that would give others greater flexibility to violate our rights. If you are hiring people with disabilities for their labor — and you should be — then you should be legally required to treat us like employees, rather than insisting that our labor for your company is actually helping us. Having developmental disabilities, for instance, doesn’t make us unable to comprehend that reality, even if those who claim to speak for us can’t tell the difference between assistance and exploitation. Rabbi Ruti Regan is an activist with ADAPT, the country's leading direct action disability rights group.